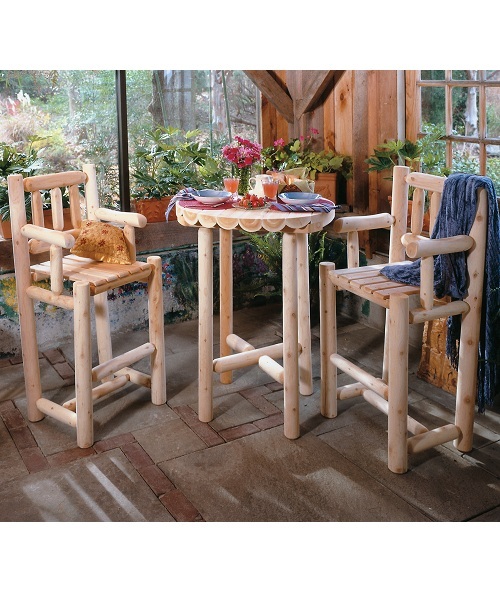 This log-style cedar dining set is perfect for a breakfast nook or game room. Constructed from solid cedar, it will be a beautiful part of your décor for years to come! Unfinished, but sanded smooth, the set can be stained or painted to match existing décor. Natural cedar does not require a finish and can be used as is with little to no maintenance!